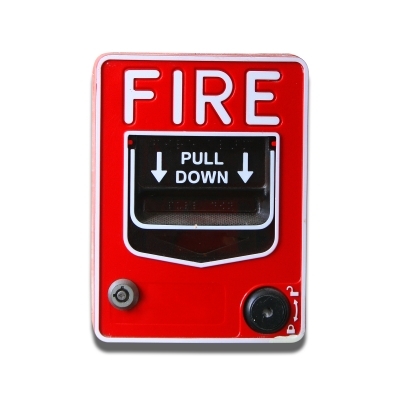 Travel-Tot: Fire Safety: Detection and Escape! 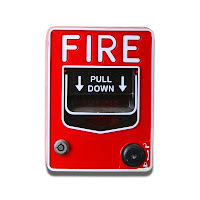 Smoke detectors can save lives; but only if they are operational and can be heard. Change batteries twice a year; many people do it the weekend of the switch from standard time to daylight-savings time, and vice-versa so they don't forget! Practice your family's escape plan both during daylight hours and after dark. If you live in a multiple-story dwelling and have an infant or young child who may not be able to negotiate a ladder, you should consider investing in a Baby Rescue; this flame-retardant, ventilated bag with a 60-foot-long tether is designed to allow you to get your kids out of the window and lower them down outside the building to safety. 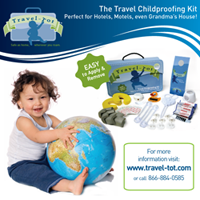 It is patented by Safety International, LLC and approved for children weighing up to 75lbs. Be sure to visit the U.S. Fire Administration homepage for additional information regarding fire safety. They have a vast collection of information, including Kids Pages, Fire Statistics, Prevention Campaigns, and even a searchable listing of Fire-Safe Hotels/Motels! Safe and happy autumn from all of us at Travel-Tot!